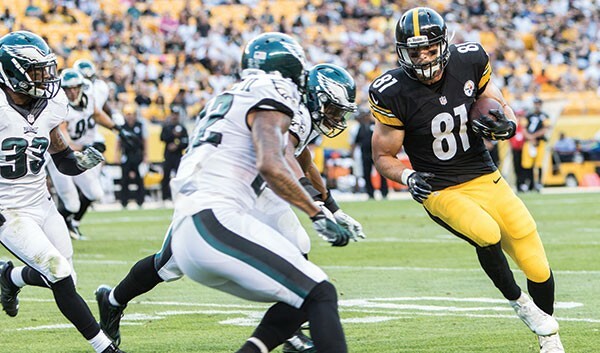 The retirement of Heath Miller left the Steelers with big shoes to fill at tight end. The team signed free agent Ladarius Green, from San Diego, but the fact is, the tight end of the future was already on the roster. James, a second-year player out of Penn State, has the size (6’7”, 261 lbs.) and strength, as well as the hands, to become the answer at the position. As of this writing, Green has been injured and has yet to play a down. If James comes on like we think he will, Green might never get a chance. 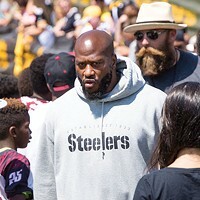 The Steelers’ veteran center has had an injury-plagued career, but none was as frightening as the one from last year’s preseason. Pouncey missed the entire 2015 campaign after breaking his fibula. He had seven surgeries and was wracked with a staph infection. But he’s back at full strength, and if Pouncey can stay healthy as the anchor of the offensive line, the offense will be as potent as it wants to be. There’s something about watching Rogers play that just makes you believe he’s going to be a big deal in this league. He’s not the biggest, strongest or fastest receiver, but Rogers is tenacious and refuses to quit. He didn’t make the team out of training camp last year, but this year he has taken advantage of every one of his opportunities. Even quarterback Ben Roethlisberger sees the potential and has given him special attention. Antonio Brown is the man, we all know that, but with Markus Wheaton unable to take the next step and Martavis Bryant’s annual suspension, don’t be surprised to see big things from Rogers. Much like Ike Taylor before him, Gay gets little to no respect for a position that he plays very well. Mainly because, much like Taylor, he’s not a guy who snags a ton of interceptions. But what he does, like Taylor, is cover the opposition’s No. 1 receiver like a diaper on a newborn — so tight that nothing sneaks out. 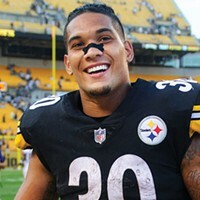 This is the year Gay starts getting noticed as one of the top backs in the game, and we predict he’ll bring some respectability back to the team’s secondary. Look for the third-year man out of Ohio State to have a big season. He’s the prototype of the new Steelers linebacker: strong and fast. There’s a chance that the entire linebacking corps for the Steelers will be huge this year, but Shazier will be the one who dominates. His 87 tackles and 3.5 sacks from 2015 will be eclipsed by season’s end.